Please note that we are currently closed for annual leave for the period 11th April 2019 to 23rd April 2019. You may still order from the shop, however emails will not be checked during this period and any orders will be processed and messages answered on our return. Sympathetic restorations to full retrims. Seat repairs, retrimming, headlinings, carpet sets. Fully bespoke, Limited Edition car interiors. 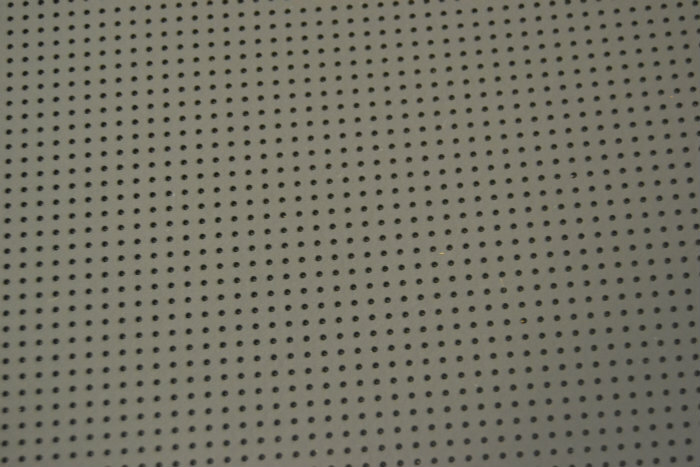 Perforated Black vinyl suitable for seat and panel trimming. Great for motor bike seats. Perforations do not go all the way through the fabric. All fabrics and materials are sold by the linear meter - meaning that when 1 unit is chosen you will receive 1 meter length x the full width of the fabric.